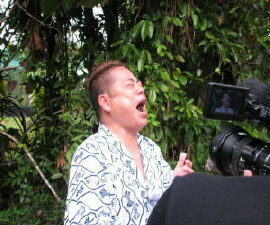 Here at the Australian Insect Farm we specialise in North Queensland tropical insects and their biology. We have over 30 years of experience in film and television wrangling. Working with invertebrates, we select the most suitable animal for any given job. For over 25 years we have worked with many international and local film productions. From David Attenborough�s natural history documentaries to many reality shows we have covered all requests. Some of our insect stars include stick insects, Rainbow Stag beetle, Giant Burrowing cockroach, local spiders, water bugs, butterflies, ants and more. Wijitti grubs a speciality of the farm. 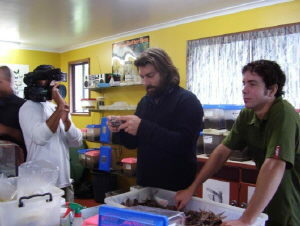 The Australian Insect farm has available excellent on-site filming location, a lush rainforest setting with a specialised filming house, with set design also available. 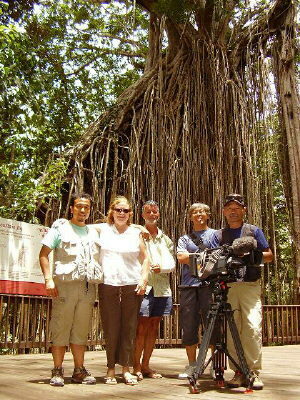 The AIF is home to 'Paul and the Rainforest' - as seen internationally in Japan, USA and UK. We know our insects and we know exactly how to fill your requirements. Daily or weekly rates available. We also contract breed to meet your special requirements. Call us first for your insect requests.